WITCHTOWN IS A 2018 HORROR MOVIE, FOUNDED AND FUNDED ON KICKSTARTER. 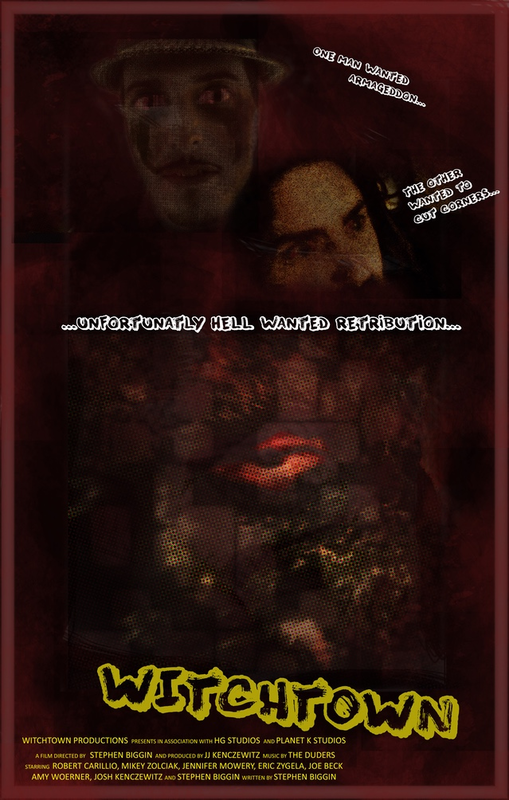 IT HAS TAKEN OVER 3 YEARS TO BRING THIS NO-BUDGET-HORROR PHENOMENA TO LIFE, AND THE RESULT IS LIKE NOTHING EVER SEEN. OUR PRODUCTION COMPANY HAS BEEN MAKING INDUSTRIAL VIDEOS, AS WELL AS LOW BUDGET CREATIVE SHORT FILMS FOR THE LAST 10 YEARS, HOWEVER, THIS IS OUR FIRST FULL LENGTH ENDEAVOR INTO THE WORLD OF THE HORROR GENRE! WITCHTOWN ATTEMPTS TO CAPTURE SOMETHING FROM THE "YESTERYEAR" OF FILM, WHILE ALSO MANAGING TO FEEL NEW AND FRESH. OUR TEAM'S LOVE, AND APPRECIATION FOR CINEMA WILL BECOME APPARENT THROUGHOUT YOUR VIEWING OF WITCHTOWN! WE KNOW YOU'LL HAVE FUN, SO WELCOME ABOARD! ENTER THE WORLD OF WITCHTOWN! WHEN TWO BUMBLING OCCULTISTS ATTEMPT TO RESURRECT ANCIENT FORCES, THEY FIND THAT THEIR DIFFERENCES COULD LEAD TO THEIR DESTRUCTION. 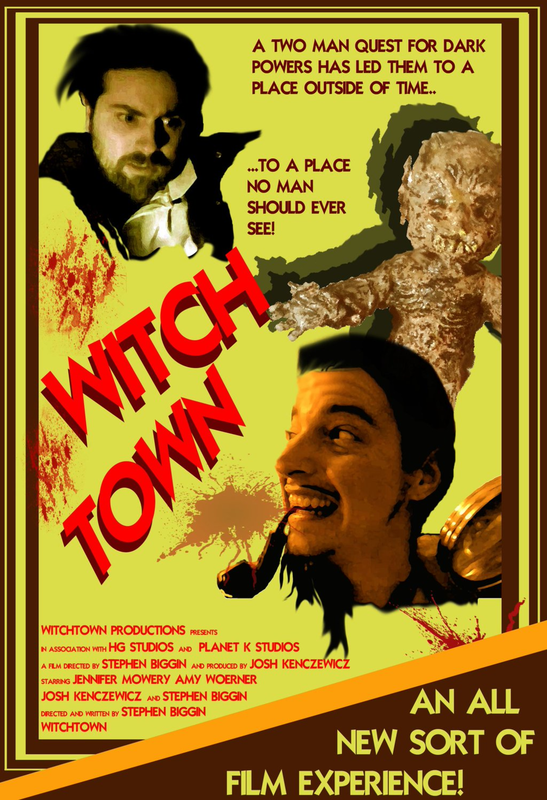 FROM ANCIENT REALMS, TO BABY DEMONS, WITCHTOWN NEVER STOPS SURPRISING WITH AN ENTERTAINING MIX OF LOW BUDGET HORROR, AND NONSTOP LAUGHS! 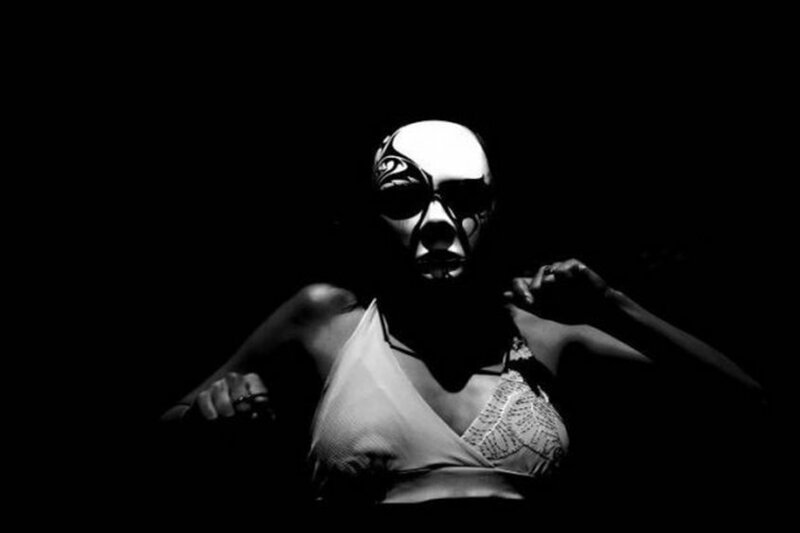 A TRUE LABOR OF LOVE, WITCHTOWN IS AN INDIE-FILM NOT TO BE MISSED! WE LOVE FILM AND WE HOPE YOU DO AS WELL! WITCHTOWN IS THE CULMINATION OF YEARS OF EFFORT BY MANY INDIVIDUALS, OPERATING ON A BUDGET MOST WOULD CONSIDER ABSURD! HOWEVER, WITCHTOWN HAS COME TO REPRESENT TO THOSE WHO VIEW IT, HOW HARD WORK, DETERMINATION, AND JUST THE SPARK OF AN IDEA, CAN BLOSSOM INTO SOMETHING CREATIVE AND UNIQUE. 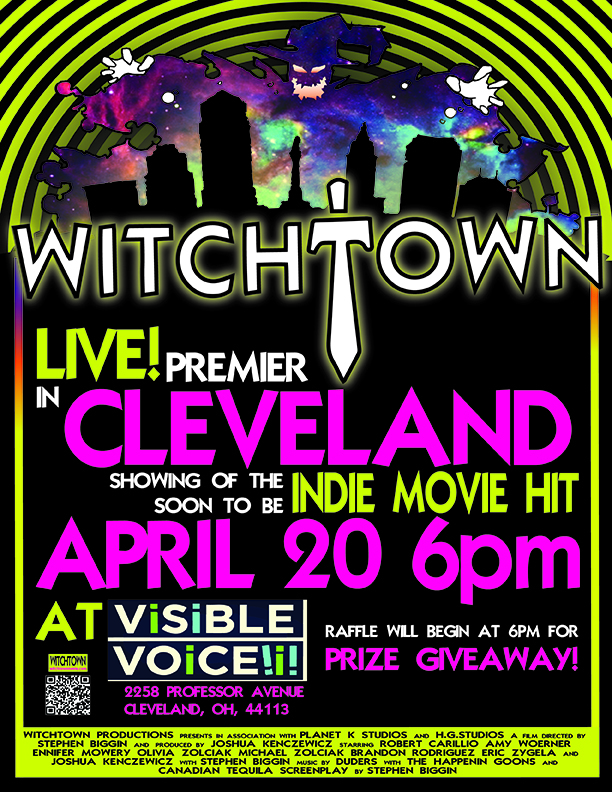 JOIN US AS WE TAKE WITCHTOWN AROUND THE GLOBE, THROUGH FILM FESTIVALS, CONVENTIONS, AND MORE! THIS IS WITCHTOWN! SO GROSS, THAT EVEN A SURGEON WOULD VOMIT! Check out the great Press surrounding WITCHTOWN! Great Article from Cleveland SCENE Magazine written by Jeff Niesel! 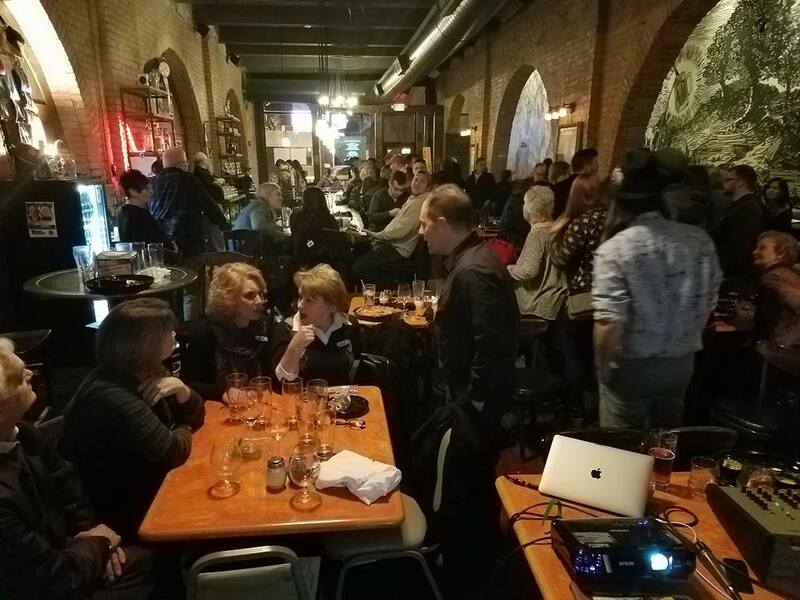 A great WITCHTOWN article by COOL CLEVELAND! Check out this great Article written by Olivia Zolciak while WITCHTOWN was still in production! Great insights into our film, and the industry istelf! Thank you to Jon Ruggiero for the great article in the Toledo City Paper! 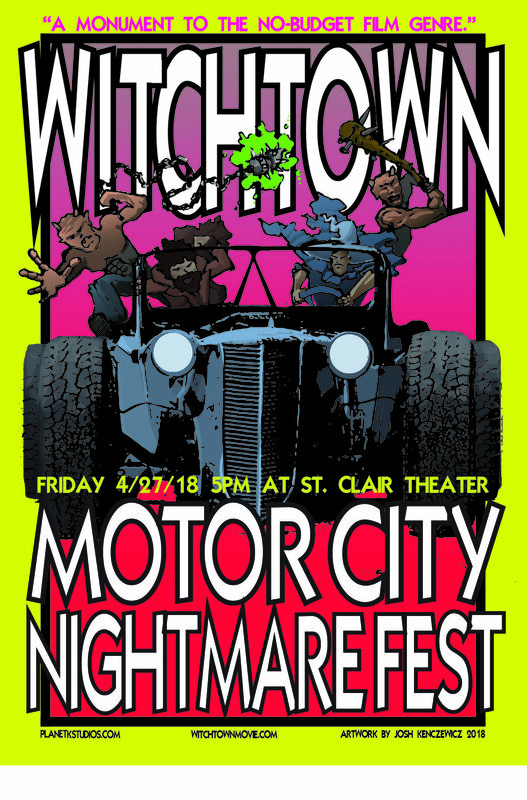 WITCHTOWN IS GOING ON THE ROAD! JOIN US AS WE BRING WITCHTOWN TO YOUR TOWN! Coming soon! The 22 track WITCHTOWN Soundtrack!